10:21 am – Awesome “Burn It Down” chant from Barclay Center. WrestleMania last night (barring the final hour) was one of the best WrestleMania’s, in-ring quality-wise, in history. I’m excited to see what WWE does with the new guard tonight with so many titles changing hands. 10:28 am – Incredible seeing Kofi Kingston on RAW with the belt. Now, all we need is The Man. 10:35 am – Title for Title?! What?! This can’t really happen, right? Pretty damn cool opening to RAW, however. 10:38 am – Not surprised to see a RAW Tag Title rematch. If Ryder loses, he’ll be the king of winning titles at Mania and losing them the next night. 10:45 am – Look at Ryder and Hawkins getting Barclay behind them. I thought they would be heavy for The Revival. 10:50 am – Awesome win for Ryder and Hawkins, re-solidifying them as a threat in the division. 10:51 am – They keep advertising the Winner Take All match and it’s exciting and worrying. Obviously, I haven’t read any spoilers so I have no clue how this is going to play out and that’s pretty cool. 10:54 am – The custom intros for Baron Corbin is perfect for his character. People HATE him so he’s the perfect instrument of the McMahons. You can tell he’s essentially the proxy for Vince at the moment and as much as his voice annoys the hell out of me, his character is getting the reaction they want. 10:59 am – Quick tapout of Corbin and then a strong debut for Kurt Angle. Brief and to the point but effective debut for The Freak. 11:10 am – Hey the Bayley Buddies LIVE! They had a rough WrestleMania so it’s nice to see them off of the injured reserve. 11:14 am – Sunset flip into the turnbuckles? That looked insanely dangerous and what’s with Bayley’s new mean streak? I like it! Well overdue. 11:15 am – Nice to see Bliss back in the ring. She was alright as ‘Mania host but honestly didn’t add much of anything and may have been the least seen host in history. She’s better in the ring as a top heel so hopefully, that’s the direction they’re heading. 11:18 am – Very cool seeing Becky Lynch as the top of the business. It’s such a shame the ‘Mania finish was botched and some say was changed on the fly. I’m very curious to see the behind-the-scenes fallout from the match. Lynch deserved a better ‘Mania finish though after how she’s set the Women’s Division on fire. 11:24 am – I LOVE that the weird Lacey Evans segments finally paid off with her confronting Becky. Now we got “The Lady” versus “The Man” and I’m here for it. 11:26 am – After that Rollins promo, it really feels like this match is actually going to happen. And if it ever was going to happen, tonight is the night with the Superstar Shakeup next week. They can just strip whoever wins this week, next week stating that with the Shakeup, they can’t be on two shows. Plus, with SmackDown moving to Fox this fall, WWE is going to stack the show with talent so don’t be surprised if Seth Rollins moves to the blue brand with the WWE title and new Universal Champion is crowned. 11:31 am – Heel turn for Roode and Gable. They needed something to remain relevant and Roode has always been better as a heel. 11:35 am – God I love Ricochet and Black together. It’s fantastic when two single wrestlers decide to make the best of their thrown together tag team. Both of these teams were just haphazardly thrown together but they’ve developed double team moves, chemistry, and even their gears is looking similar. The new dedication to tag team wrestling is thrilling, especially since the tag division is largely made up of NXT talent who prefer a different gear when they get into the ring. 11:38 am – Really, Barclay? A wave during this match?! Sigh. 11:44 am – Um… Wyatt has literal puppets now? How is this better than Sister Abigail. 11:46 am – Every thing’s they’ve done with Ambrose’s exit has been strange. First, they announce it months in advance. Then they discuss it constantly on commentary, even building the Shield reunion around it. Now they advertise his last match on RAW, only to have Lashley comment on it AND his wife before driving Ambrose thru the announce table. This seems like a brazenly disrespectful exit for him, especially when it involved Renee. He deserved better. 11:54 am – Very cool seeing Sami Zayn back on TV and a match with Finn Balor is beyond exciting. 11:55 am – Now its for the Intercontinental Championship? Awesome treat. 12:00 pm – Ouch that was a tight dropkick. Jeez! 12:05 pm – This has been a great, unexpected treat. Strong TV, Intercontinental Championship match. I’d love to see these two get PPV time together. 12:07 pm – What a great heel promo for Sami’s return. He turned that NYC crowd so quickly and seemed genuinely pissed off. I haven’t seen someone believe their promo that much in a long time. 12:14 pm – Dana Brooke and WWE are trying so hard to get her over but it’s not clicking. Her promos are wooden and scripted to be far too cheesy. 12:20 pm – What a fantastic moment on RAW! Elias had to be interrupted by The Undertaker at SOME point and I love how WWE gave us the true surprise of John Cena’s “Thuganomics” at WrestleMania and save Taker for RAW. 12:28 pm – HOW IS THIS MATCH HAPPENING!?! AWESOME! 12:30 pm – Why do I feel like Rollins and Kingston decided to set the pace for this new season in the WWE as champions? 12:32 pm – Dammit so close to an awesome championship match but that’s what happens when I get my hopes up, especially about a RAW main event. 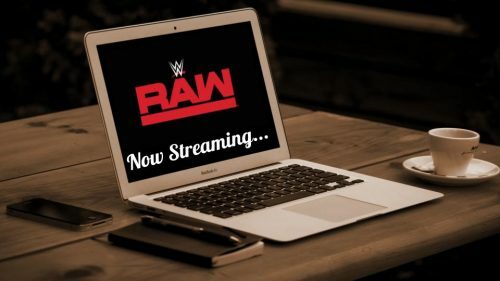 12:33 pm – Did WWE really think this tag team match would get over with the crowd? They just lost a championship match and now get a throwaway tag match. Horrible idea. 12:37 pm – God this is a rough spot for Kofi and Rollins. The most hostile crowd of the year and they have to sell a “bait and switch” Winner Take All match. There was no good way to execute this so they just shouldn’t have done. 12:40 pm – A complete throwaway to end the RAW After Mania. I’m perfectly fine with the two new champions closing the show together but don’t tease the audience with a historic title match only for it to turn into a nothing tag match.